Indigo Productions has been the best source for live events audio for over 40 years. Our expansive inventory of professional audio equipment enables us to handle live events of every size and shape from small breakout rooms to large arenas. Indigo Productions has a vast inventory of EAW loudspeakers including all sizes of line arrays, stage monitors and subwoofers. Live sound is constantly evolving and our audio techs and engineers are constantly learning and training on the newest technology. Events are done better with Indigo Productions Audio Department. Indigo supplies many events with live sound equipment every year. 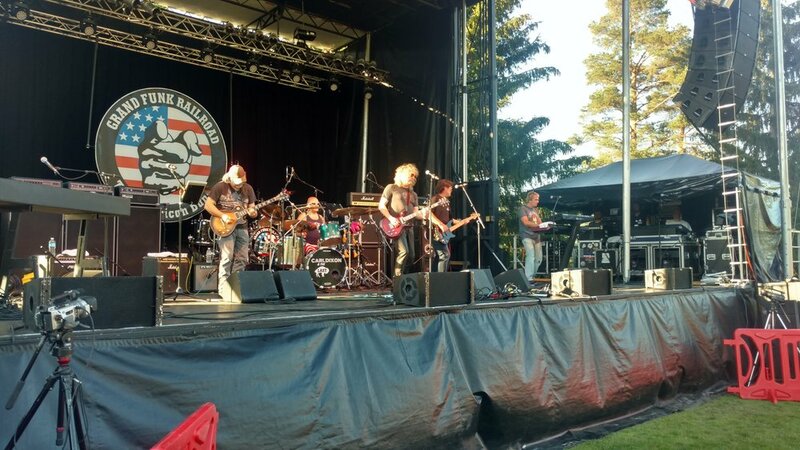 Pictured above is a band playing on Indigo’s SL100 mobile hydraulic stage using EAW Microwedge stage monitors. Call Indigo about adding wireless microphones and in-ear monitor systems to your event.